Preparation is the key to success. 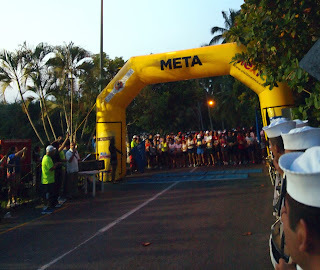 Since the announcement of the Fifth Riviera Nayarit Touristic Half Marathon 2013 which will take place on November 23 in our destination, the Convention and Visitors Bureau together with Conserviexpress, the company that’s organizing the marathon, organized a contest on the website “A Donde Correr”, which generated positive results to promote the event and the destination. “A Donde Correr” has over 9,000 fans on Facebook and over 25,000 on Twitter. These are people who are interested in traveling to run medium and long distance races, which is the specific market niche for this event. This is why we sought to contact runners by using the good relationship that they have with runners in order to make this contest”, said Marc Murphy, Managing Director of the Convention and Visitors Bureau of Riviera Nayarit. During the week of February 18 – 24, “A Donde Correr” invited its fans to upload photos in a specifically tagged Facebook album to win a free registration to the Riviera Nayarit Half Marathon. Participants had to promote their intention to participate in this race among their acquaintances and invite them to vote for them. “The results were very good in terms of media hits, because we get about 50,000 people learning about the Half Marathon and also about Riviera Nayarit. And I’ll stress that this was a very targeted strategy, because we reached out to the specific market niche that we were looking for”, said Murphy. Since the creation of the Riviera Nayarit brand six years ago, our priority has been to attract high quality tourism that poses a low environmental impact, and high performance sports are a key niche to achieve this goal. The strong momentum that our destination gets through activities like the Riviera Nayarit Touristic Half Marathon promoted by the Convention and Visitors Bureau (CVB), guarantee to attract competitors and sports tourism in the region. The public relations strategy to obtain collaboration of specific leaders like “A Donde Correr” translated into an additional asset in promoting the destination.